Fitness Pilates Newsletter for 10th February 2019. This week you will find above 2 mini meditations that you could use at the end of class in your relaxation section. One is a very simple LET GO Meditation using the words LET GO to serve as a mantra and the other is an “end of day reflection” meditation. These are my simple interpretations of guided meditations that work for me personally and my classes. We often get stuck in a “relaxation” rut and tend to say the same things over and over so I hope these inspire you to be a little more creative and thoughtful. Do let me know if these are useful to you…if so I’ll film more. 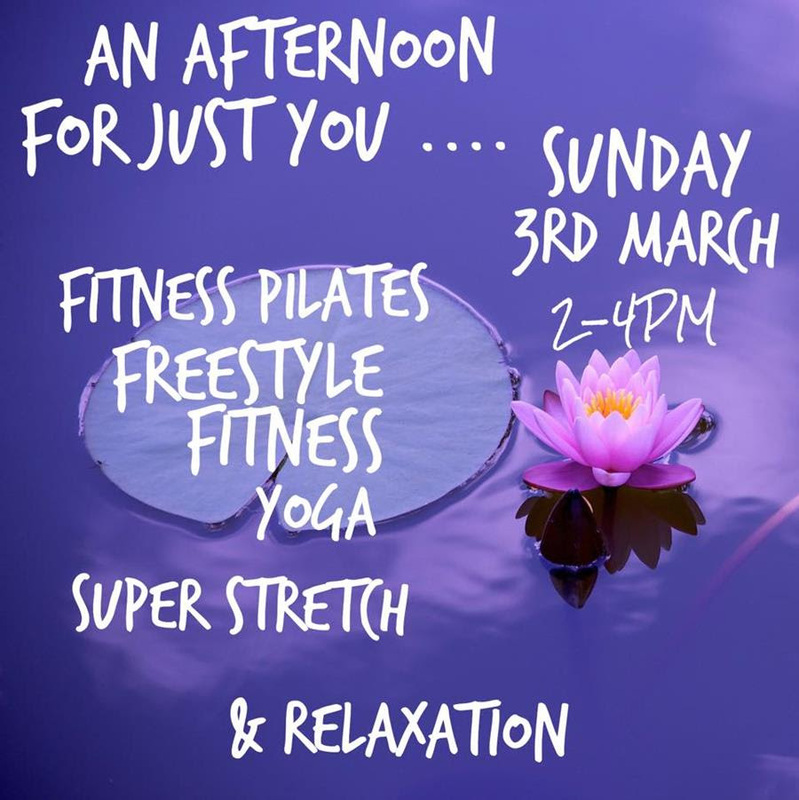 Alison from Alis’s Freestyle Fitness took a leaf out of Jackie Daly’s book last week and is organising her own Mind-body Fit day and again in 10 minutes had sold out. Is this something you can organise? It will certainly elevate your business and brand locally. “I advertised this and had 25 booked in within 24 hours with a waiting list. Im charging £15 per person and am going to put a ‘goody bag’ together (bath salts, Pilates/yoga strap, healthy snack,bottled water) to make it extra special!! 🏻🧘🏻‍♀️ ” Says Alison. Alison recently completed the Fitness Pilates Health Coach and is also offering online Women’s Health Programmes in conjunction to her live classes. 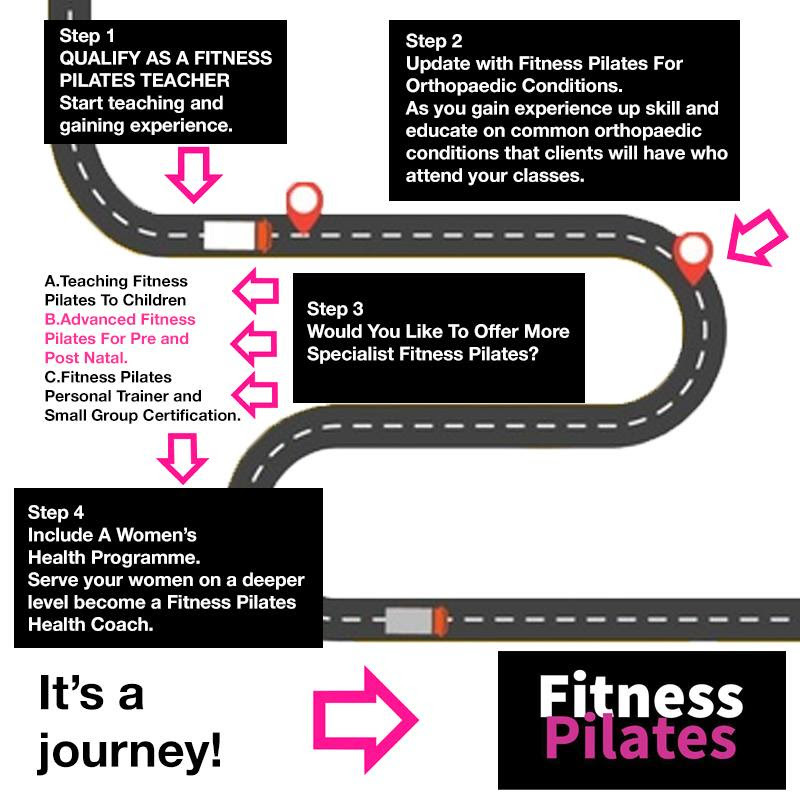 ARE YOU TEACHING THE LATEST FITNESS PILATES INFO? 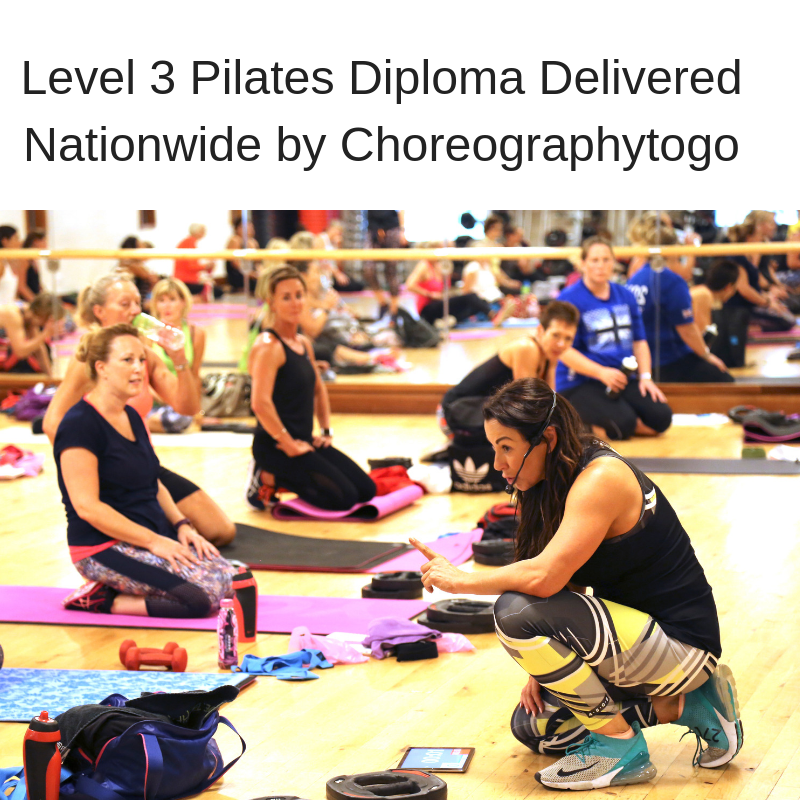 As you know with FP there is not an obligation to upskill and do more training to keep using the Fitness Pilates name BUT please, it is so important that you stay updated with everything new. Kelly and I are constantly tweaking and adding new components to FP and it’s imperative you are not teaching older and outdated information. I have created a road map below showing you each online course and where it fits in with your learning – I really hope this helps which course is more beneficial depending on where you are in your journey. Did you qualify with me many years ago or feel like you need a refresher? Click for information on the FP REFRESHER course book today and start your new classes soon. Start teaching and gaining experience. As you gain experience up skill and educate on common orthopaedic conditions that clients will have who attend your classes so you know the do’s and don’t of common conditions. Step 3: WOULD YOU LIKE TO OFFER MORE SPECIALITY FP? B.Advanced Fitness Pilates For Pre and Post Natal. C.Fitness Pilates Personal Trainer and Small Group Certification. Step 4 – Teach A Greater Depth and Add A Wider Service To Your Business INCLUDING OFFERING AN ONLINE COMPONENT TO YOUR CLASSES. Include A Women’s Health Programme Live Or Online To Compliment your FP LIVE Classes. Serve your women on a deeper level become a Fitness Pilates Health Coach and include nutrition, lifestyle, hormonal balance, stress reduction. mindset coaching and motivation. Take the online Fitness Pilates Health Coach – This is our Flagship Course.